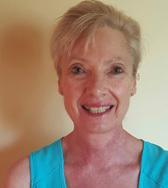 Willie-Ann is a certified Reality Therapist (CBT), and has received advanced training in EMDR. Willie-Ann has trained in Mediation with the Peace Wise Lawyers group. Willie-Ann has experience as a social worker and psychologist within the Mental Health system. In addition, she has delivered paid and volunteer services in community organizations, centres and schools. She has over 20 years experience as a teacher, and she has tutored individuals in various contexts for over 30 years. Willie-Ann aims to collaborate with you for transformation in personal, parent-child, and work relationships. Physical and mental health, stress, developmental trauma, loss and grief, anxiety, depression and educational issues are her other interests and strengths. To assist you attain your goals Willie-Ann uses a variety of therapeutic modalities. Mount Evelyn Counselling is a team of experienced psychologists and counsellors. Counselling fees are charged on a sliding scale according to income. Our psychologists provide Medicare rebates when you have a doctor’s referral. Counselling is arranged by appointment. "Helping you find answers, make changes, and build a better life"